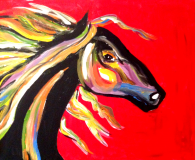 Sip and Paint- “Horsey Play” | Eat. Paint. Love. 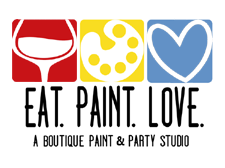 Join us for a 1.5-2 hour paint class taught by a professional & FUN artist. Please arrive promptly for your session You will be painting on a 16×20″canvas.